The country's aquifers are being drained faster than they are being replenished. The rain water which falls on the surface is not making its way into the aquifers, but instead is running off into rivers and out into the ocean. Water runs off instead of soaking into the ground because of deforestation, intensive agriculture in sugar cane zones, and because of increased pavement which comes with growing urbanization. In addition, there is increasing demand for water from industry and from residential areas hooked into water systems supported by wells. Desperately needed is legislation and government action to comprehensively address the problem. For more than 11 years since it was first introduced, the so-called General Water Law, has languished in El Salvador's National Assembly despite the efforts of environmentalists to move it forward. This law has a rights based approach to water, and declares water to be a basic human right and a public good. The law would prevent the privatization and over-exploitation of water resources by private interests. In opposition, this month the right wing parties in El Salvador have introduced a draft piece of legislation titled the "Integral Water Law" which proposes to create a quasi-governmental body to oversee the country's water resources. The body would have a governing board including one member appointed by the president, two members appointed by private industry, and two members appointed by an association of municipal governments. 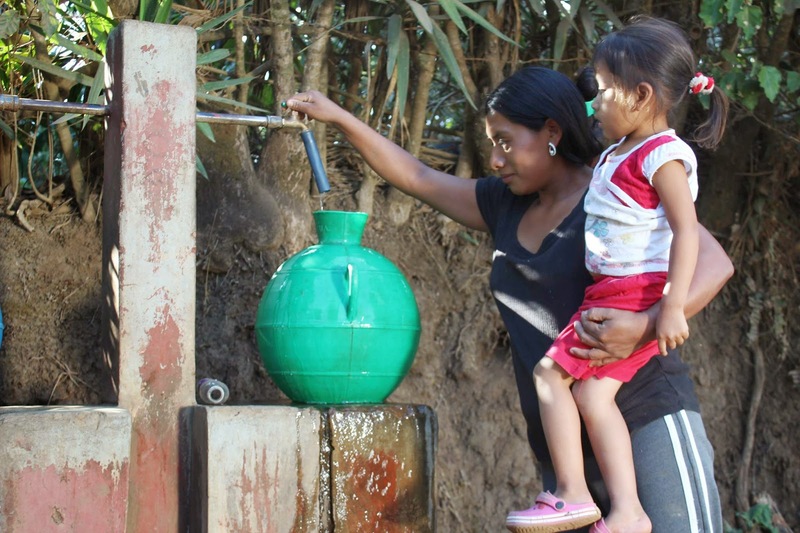 The FMLN and supporters of the General Water Law were quick to denounce the new proposal. They see the Integral Water Law as a back-door way to privatize water resources in the country. Although the sponsors of the Integral Water Law have more than a majority in the National Assembly, they would not have the votes necessary to overcome a probable veto by president Salvador Sánchez Cerén. El Salvador's Human Rights Ombudsperson (PDDH) Raquel Caballero de Guevara has also announced her opposition to the Integral Water Law. The PDDH has shown a commitment to environmental human rights since she assumed her role last year, and she favors the General Water Law with its focus on water as a fundamental human right. In doing so, the PDDH unites herself with the Roman Catholic church in the country, the University of Central America and the country's environmental movement. This was the coalition which successfully pushed through a metallic mining ban earlier in the year. Passage of the General Water Law will be more difficult, however, with El Salvador's polarized and divided government making it impossible to pass major legislation opposed by one of the major parties. The challenge over how to manage El Salvador's water resources has proved to be an intractable one for more than a decade. While politicians maneuver, the water crisis worsens through lack of an overall strategy and lack of management. A country where rain falls abundantly six months per year, cannot figure out how to manage those resources for the good of its citizens.